This isn’t a completely new project – we’ve lived on the water for a while. 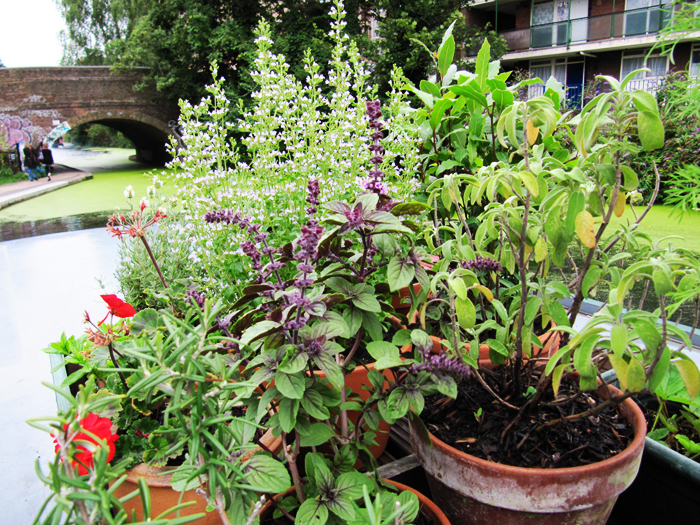 The boat garden experiments began last summer with a few potted flowers and herbs. The idea was to create something modest but good looking, which was boat and bee friendly, fragrant and partly edible. Plants included lavender, calamintha, cosmos, sedum ‘cloud walker’, geranium (Geoffrey), strawberry, sage, rosemary, purple basil, bay and mint. Everything bar the basil and cosmos has survived the winter and will be part of this year’s garden. 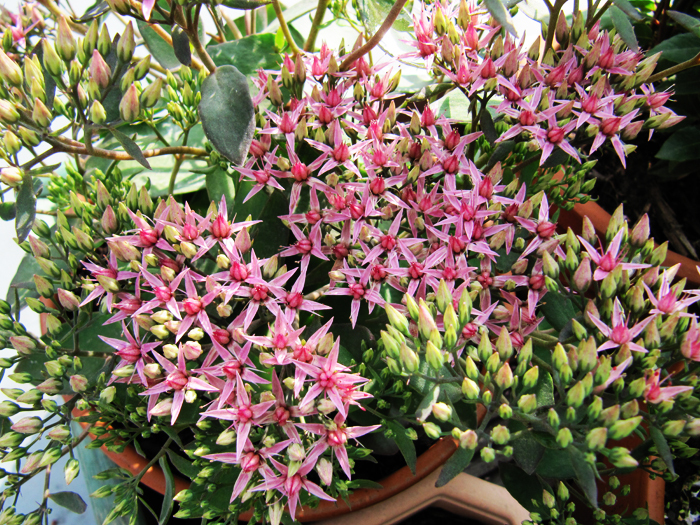 Sedum ‘cloud walker’ has succulent foliage topped with dense, heavy clusters of star shaped flowers. Bee friendly, drought tolerant and low maintenance, it’s the ideal plant. Along with the relentlessly cheery cut-and-come-again flowers of cosmos, calamintha was a favourite last year. 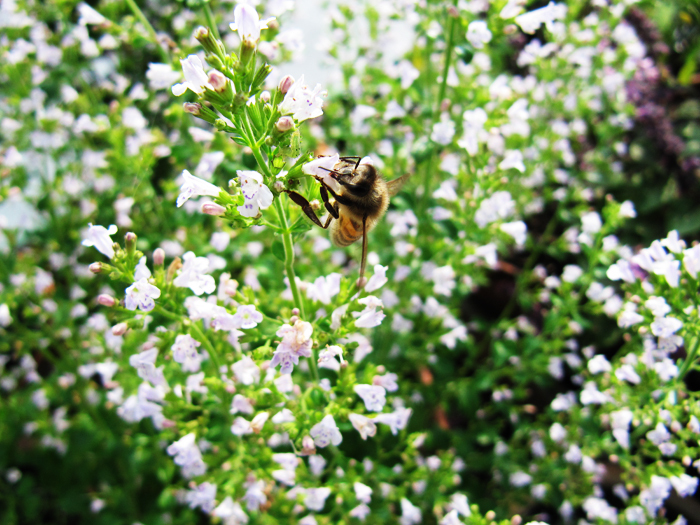 Covered in tiny purplish-white blooms for weeks, it was a bee magnet. The hardy and self sufficient perennial has a sweet peppermint scent. The foliage on the boat’s plant has just started to grow again after the winter die back and the leaves are freshly fragrant when you give them a little ‘welcome back’ squeeze.